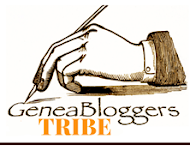 As a loyal longtime subscriber to several online databases I get annoyed when these services offer free access to those who are not subscribers and nothing for their subscribers. I have been known to ask on social media what these companies are doing for those who support them with their hard-earned dollars. 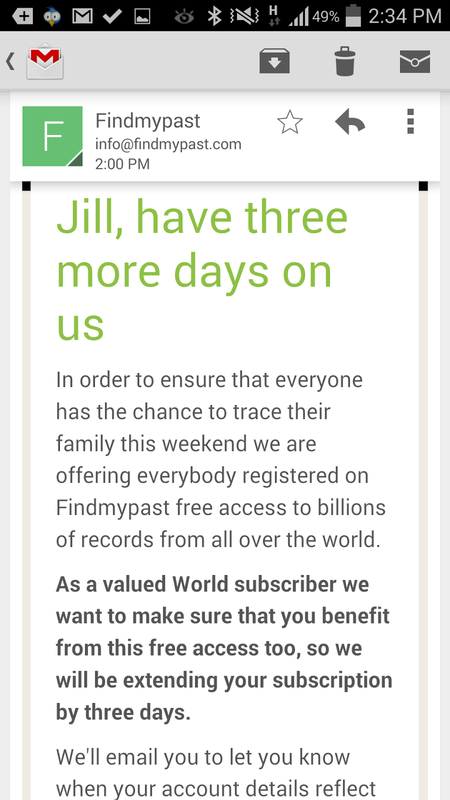 I was therefore delighted today to receive this message from findmypast.com. Thank you for rewarding us. I was surprised, but pleased, to receive the same, Jill... though I have always ben pleased to receive a chance to try some sites free. Nice to know we get a loyalty bonus though. Me too Jill! Happy that they consider those of us who do spend plenty of $$ with them. Well done FMP. Good point, Jill. This way everyone benefits.